This photo tour directs to professional photographers or advanced photo amateurs. It will be played in Friuli region, among the Carnic Alps bordering Veneto region and Austria. The area is well known for its wilderness and impervious valleys. In the Preone valley runs the Arzino river: its waterfall and games of water, especially in autumn beechwoods, are perfect for suggestive pictures. The tour also includes landscape pictures from panoramic views:you'll discover the most important mountains of the region, like Carnic Alps and Dolomites of Friuli, recently included as Unesco World Natural Heritage. The participants will be assisted from their arrival at the airport (Venice, Treviso, Trieste) or another arrival point. The dues include the transport to the headquarter, the hotel-restaurant “Alla Frasca Verde” in Lauco. 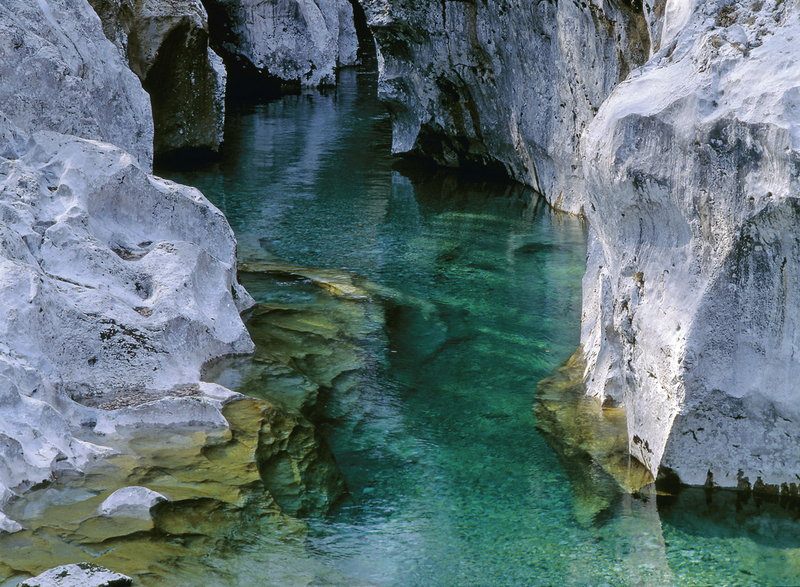 Lauco is a typical village of Carnia: its position is strategic with reference to the places choosen for the photo tour. In the hotel there are comfortable double as well as single rooms with bathroom. The breakfast and the dinner will be served at the hotel restaurant,while the lunch will be served in one of the local farm holidays, near the place chosen for the shooting. Meeting: 6.00 PM at the hotel-restaurant "Alla Frasca Verde"
In those two days we are going to visit a particular habitat in Preone Valley: a suggestive beechwood crossed by Arzino torrent. Near the spring, the torrent makes waterfalls and drops that shape the calcareous rocks. The habitat is perfect for taking pictures of foliage and games of water games. 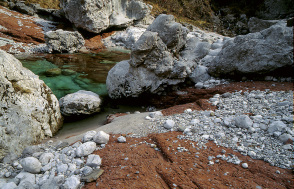 Along the Arzino Valley,(Pordenone district), there is a very characteristic place, where the Arzino river comes out of a gorge showing its green and deep water; then it slides over slab rocks called "Red Flake", among the calcareous white rock. Characteristic woodland area where the river comes out from rocks and stones covered by musk and beech leaves. We'll reach Teglara Alpine pasture (1573 mt) by jeep. After a few minutes walking it will be possible to admire the Friulan Dolomites landscape. If the weather conditions will allow it, from Sciara mountain, we could have the chance to see the western side of Dolomites and the Carnic Prealps valleys too. In the afternoon, we'll have a walking-tour to Valcalda mountain (1908 mt), 208 vertical metres in 2 km. There we could capture the sunset lights and an amazing 360-degrees panorama on Carnic Alps . In the morning we are going up to Col Gentile (2075 mt), 345 vertical metres in 4 km. From this mountain we could see wide views over Carnic Alps and valleys as well as Sauris Lake. In the afternoon, we will have a walk to Crostis Mountain (2075 mt), 345 vertical metres in 4 km. From this hill, the vision of the highest Friuli mountains, Mt Coglians (2780mt),is always wonderful. If the sunset is favourable, the vision will be fantastic. Time of the year: from 14th to 19th october 2013 ( 5 nights, 6 days). Price: 1150,00 euro per person. Deposit: 250,00 euro to pay at registratation time (refundable until the subscription to the course is closed). The dues include: welcome at the airport or station train, full board, transport by jeep, organizers' asssistance. The dues don't include: travel expenses and extra drinks. Number of participants: the photo tour will be organized minimum 5 to 10 participants maximum. Last term enrollment: 4th october or to attainment of maximum number . Admission on-line: fill the registration form. 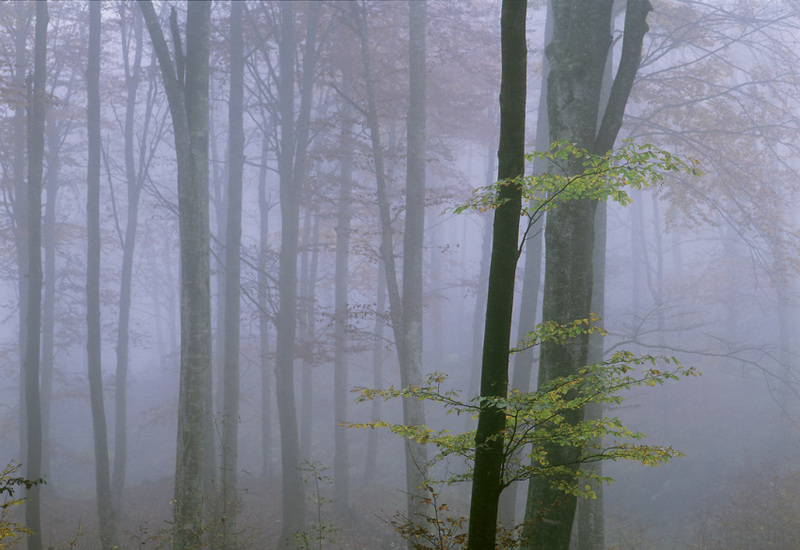 it would be better to bring comfortable sportswear, with pile or wool pullover, gloves, climbing boots and wind-jacket. The snowfall is quite rare in this period, but not impossible.